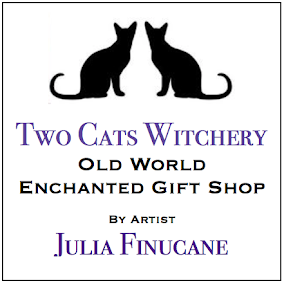 Here at Two Cats Witchery, we are always happy to create a custom order for yourself or for a special someone as a gift. All you have to do is ask. All items can be custom made or personalized. When ordering a custom order, an invoice or special listing will be made just for you. ~ If you saw something on Ebay or Etsy that is not listed here, please contact us. We more then likely have the item, its just not up yet because of Julia being on maternity leave. Julia will send an invoice to your preferred email for each order using PayPal. 4. Shipping address will be listed on your PayPal. please make sure its the correct address. 5. Any special notes, if it is a gift, or any personalization. Please allow 3-5 business days for processing. Order will be shipped when payment is cleared.